Every year, Canadians, who have access to one of the most advanced health care systems in the world, spend more than $200 billion on health care, $34 billion of which is on ­pharmaceuticals. Although medical services are socialized, government-supported drug benefits are limited to children, the elderly and the poor. In this regard, drug funding is more akin to that in the United States: Private payers (insurers and individuals) in Canada contribute 64% of the drug costs, compared to 65% in the United States. The pharmacy industry in Canada comprises community, hospital and long-term-care pharmacies, and dispenses nearly 600 million prescriptions a year. With more than 9,000 community pharmacies (consisting of independents and retail chains), the industry is relatively fragmented, the top three chains representing less than 40% of the prescription volume. 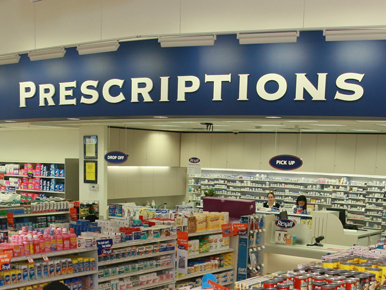 The practice of pharmacy in Canada is regulated at a provincial level (similar to how it is regulated at the state level in the United States). In many provinces, pharmacist licensing extends beyond medication dispensing to include professional services such as medication reviews, prescription adaptations, flu shots and the treatment of minor ailments. Provincial regulations have also extended the capabilities of certified technicians, allowing them to validate transcription and product fulfillment — reserving only the clinical review and consultation to the pharmacist. With such regulations, Canadian pharmacy is considered by many to be progressive; however, implementation has been uneven, and appropriate funding mechanisms have lagged. As is the case for other developed countries, the Canadian health care sector faces a sustainability gap, with public health care spending significantly outpacing increases in government income. As a point of reference, health care costs have grown at 1.3 times government revenue over the past 10 years. This sustainability gap will continue to widen, due to an aging population, higher wage structures, and the transition to more costly specialty ­medications. As provincial governments seek ways to reduce their health care spend, pharmacy is coming under pressure due to the perceived inefficiencies in the system and the belief that costs can be more easily reduced vis-à-vis other health care spending. Although technology could help to streamline pharmacy spend — as well as to improve the efficiency and effectiveness of the overall health care system — the current pace of adoption has been slow. Last year only about 10% of pharmacists in Canada received any of their prescriptions electronically. This low adoption rate stems, in part, from the inability of key stakeholders to align and develop a consistent technology platform that has sufficient scale. After several waves of drug funding reform, the federal and provincial governments are left with no option but to pursue additional reform initiatives, albeit at a decreasing rate of return. In the latest wave of reforms, the provinces are exploring changes to dispense frequency, capping markups on high-priced medications and more aggressively implementing step therapy initiatives. The effect of these reforms will likely increase as the private sector considers its own reform initiatives. Building on the growing need for practical, implementable solutions, the broader pharmacy industry, consisting of manufacturers, wholesalers, and community pharmacies, is collaborating to bring forward a collective perspective on initiatives to address the sustainability gap. • Treating minor ailments and administering vaccines by continuing to expand the pharmacist’s scope of practice. Despite the ever-increasing demands on physicians’ time, 15% of all physician visits are historically for relatively minor ailments such as cold sores, dermatitis, hay fever and minor infections. Already, pharmacists in Canada are trained and qualified to assess and deliver care for a number of the less complex conditions regularly presented to physicians and nurse practitioners. Allowing pharmacists to prescribe for minor ailments will enable physicians to focus on the patients who need them the most. • Ensuring affordable access to key medications by creating policies and plan designs that encourage lower-cost alternative therapies. Generic drugs enable Canadians to access the more important medications they need at an affordable cost. Researchers from the University of British Columbia and the University of Toronto found that among survey respondents who said they had been given a prescription, almost 10% had either not filled the prescription for cost reasons or deliberately skipped doses to save money. Increasing pharmacists’ responsibilities could make better use of their expertise in therapeutic management, enabling them to choose to dispense a less costly alternative where and when ­appropriate. • Helping patients manage chronic diseases more effectively to improve quality of life and keep patients out of critical care. Canada’s health care system, designed largely around the provision of acute care, is increasingly focused on providing treatment for chronic conditions. Strategies for managing complex chronic conditions must focus on complementing specialist visits through access and affordability in the community setting. Efforts to shift provision of chronic care to more appropriate and cost-effective settings such as community pharmacy, home care and integrated health teams will result in better patient outcomes and lower costs. • Further preventing adverse drug reactions by focusing on information sharing, user-friendly e-Health systems, and connectivity with other health care practitioners. Adverse Drug Reactions (ADRs) put a tremendous strain on the Canadian health care system. Approximately 5% of all emergency room visits and 6% of all hospitalizations stem from ADRs, resulting in reduced availability of already scarce hospital beds. Drug utilization review processes (DURs) enable health professionals to collaborate more readily, as well as to have a better understanding of the drug therapies that patients may already be on or how they might react to new or different medications. • All stakeholders (especially the government and the broader pharmacy industry) to accept and position pharmacy as a primary point of care. This development will require key industry stakeholders (including physicians, nurses, caregivers, patients and pharmacists) to embrace the proposed changes. • The government and private payers to align on funding, and the provision of incentive mechanisms, to support the enhanced scope of practice. • Key industry stakeholders to drive toward a consistent technology platform across the provinces to capture system efficiencies and minimize the need for multiple provincial solutions. The technology platform must be designed to accommodate digital health ­technologies. With additional reforms likely under way, the next 12 to 18 months will be crucial for defining the future of pharmacy in Canada. Carol Cruickshank (carol.cruickshank@atkearney.com) and Simon Negri (simon.negri@atkearney.com) are partners with A.T. Kearney’s Health Practice and Consumer Products and Retail Practice. Rodey Wing (rodey.wing@atkearney.com) is a principal with A.T. Kearney’s Health Practice.